The village is half a mile from the castle and church where it was originally located. Newcastle takes its name from the Castle, built by the Normans on an earlier Irish fortification in the territory of the O’Byrne’s. Constructed in the period between 1177 and 1184 by Hugh de Lacy then governor of Ireland under Henry II, the Castle called Newcastle Mackynegan, became a major stronghold in the outer fortifications of the Pale. Even so it was attacked and occupied at intervals by the Wicklow Irish chieftains the O’Tooles and the O’Byrnes. The current ruin on the site is not that of the castle which was destroyed in the 16th century but of a building which was erected on the site. The Castle was the county seat and administrative centre until the shiring of Wicklow county in the 16th century when it moved to Wicklow Town after the castle was again raided. 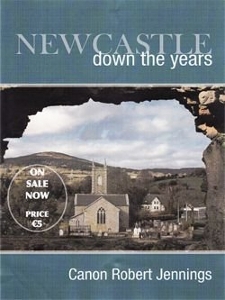 All the information in this section has been sourced from the book, “Newcastle Down the Years”, written by Canon Robert Jennings and published in 2008. This excellent publication covers the full history, heritage, community and religious past of Newcastle and is a fount of information and well worth the read! The book can be purchased from the Newcastle Residents Association at a cost of 5 euro. Please contact Fred Rountree at frtree@indigo.ie. You may also purchase a copy of the book online from the BirdWatch Ireland Shop, by visiting http://shop.birdwatchireland.ie/birdwatchireland/index.php. 1606 Administration and judiciary from castle ceased and moved to Wicklow when it became the last county in Ireland to be shired. 1641 Newcastle Church destroyed during the Rebellion. Only the chancel remained. The history of Newcastle and its early inhabitants goes back to prehistoric times. The earliest, but still visible, evidence is from the Bronze Age 2000 – 500 B.C. The number of settlers around Newcastle continued to grow for hundreds of years because later in 744 A.D. a horizontal water mill was in operation. Over the years Newcastle grew in importance and was the centre of administration for Co. Wicklow until 1606 when it became the last county to be shired in Ireland. Most of the Lord Deputies of Ireland, Archbishops of Dublin and Glendalough, famous generals, three kings, (Richard II, Charles I, James II) and Cromwell, are all recorded as visiting Newcastle for good or ill. The last serious encounter of warring factions in the parish took place in 1798 in what was known as the Battle of Newtownmountkennedy. Newcastle was well known not just as a military and administrative centre but also for the excellence of its farm produce and timber. We get a more peaceful picture when we read that in 1305 the King’s tenements at Newcastle had 240 acres of plough land, 52 acres of arable land, 8.5 acres of meadow and 120 acres of wood. There were 191 holdings in the area and two mills. Alas, there are few oak trees left around Newcastle but the farm opposite the Castle is still called “Oaklawn” and no doubt bears witness to the once famous oak woods of the area. In the late 18th and 19th centuries the Newcastle area was still producing barley and oats, early potatoes called Bangors, veal and early lamb for the Dublin market. The position is much the same today only on a much larger scale and with a greater variety of produce. The older town of Newcastle was originally situated near the Church and Castle along Leabeg Lane and Church road. It was through here that the old road to Wicklow ran, and it was known as the “Via Regia”, or the King’s Way but by 1800 the town was reduced to a small village and had moved to its present position on the new road between Kilcoole and Rathnew. Nowadays, new life and a renewed sense of community have come to Newcastle through the many local businesses and clubs, the Residents Association, the Tidy Towns competitions and many more initiatives in the village. New housing estates built close to the village bring in many young couples as well as older people and in the last census of 2006 the village had a population of 837. Newcastle Hospital, situated half a mile from the town of Newtownmountkennedy has an interesting history. Although it is now a psychiatric hospital, it was the first national T.B. hospital to be built in Ireland. Another smaller local hospital was already in existence in Belfast. When one realises that in the late 19th century approximately 10,000 people died every year of T.B. the hospital was badly needed. From Newcastle Parish Records we learn that the first parish school and school house was built in 1786 “adjoining the Church”. This school seems to have lasted for only thirty years because in 1817 a new Parochial School with teacher’s residence attached was built on a site about half a mile from the Church on the road to Newtownmountkennedy. This school continued to educate the children of the parish until 1962 when, due to falling numbers, it was closed and children from the Parish attended Delgany School, Nun’s Cross and other schools in the area. A survey in 1979 showed that 120 children from the grouped Parishes of Newcastle, Newtownmountkennedy and Calary were now attending seven different schools outside the Parish boundaries and a strenuous campaign was made through the Department of Education and the Diocesan Board of Education for a new Parish School. In 1980, permission was obtained for the building of a new school opposite the Church of Ireland and it was officially opened as St. Francis School in September 1982. The total picture of schools in the Parish would be far from complete without mentioning the excellent facilities provided by St Catherine’s Association Ltd. The Association is a non- profit making organisation which provides education, training, healthcare and residential & respite care to clients who have intellectual and other disabilities. 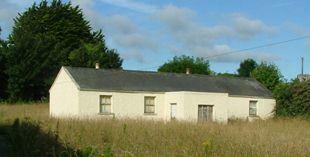 Five Mile Point, one mile south of Newcastle Station and five miles north of Wicklow is a small quiet hamlet of permanent dwellings and a few holiday homes. It is an ideal spot for fishermen or starting point for seaside walks, either north or south. It is part of BirdWatch Ireland’s East Coast Nature Reserve, a sanctuary for our feathered friends, many of them winter migrants from Africa, for butterflies, moths, damselflies and rare seaside plants and flowers. But it was not always so. In the 18th and 19th centuries it was a dangerous place in which to live. Far from being a haven of solitude it was a centre for smugglers, coastguard wardens and a life boat station. In spite of the risk to life and limb smuggling and piracy were rampant not only on the high seas but also around the coasts of England and Ireland. The custom duty on rum, wines, tea, tobacco and other items made smuggling a risky but profitable way of life. The authorities, both on land and at sea, made every effort to prevent smuggling but it is still estimated that about half of the above commodities consumed on these islands was smuggled from abroad. On Newcastle beach there is a granite stone erected in 2003. The plaque on this stone reads as follows – “In 1886, 1892 and 1898 submarine cables were laid from here to Nevin in North Wales and carried telegraph communications until the 1930’s.” – With the invention of the telephone, which could carry direct conversation across the seas, a new telephone line was laid from Newcastle to Wales in 1892. Although not very satisfactory, it remained in place until 1935. The third and last cable was laid in 1898. From the initial cable established at Newcastle, Ireland became the starting point for telegraph cables to the continent and the first transatlantic cables to America. Newcastle had a working station for 109 years from 1855 to 1964, but sadly, trains no longer stop here. In its heyday, Newcastle was an important station with two platforms. One platform had the main station building and the signal cabin. There was also an island platform on the down side and a goods and freight loop on the sea side. In 1964, eleven southeastern stations were closed including Kilcoole and Newcastle. With new emphasis on the use of public transport, Kilcoole has reopened and it is to be hoped that Newcastle will soon follow to cater for the growing population in the area.